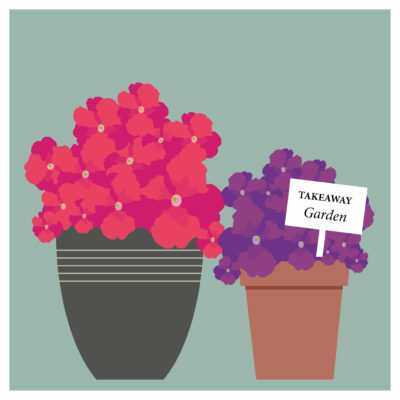 A takeaway garden can be put together very quickly and is perfect if you live in a rental property, you are expecting to move in the future or you would like the flexibility of being able to move things around. Small outdoor areas can be easily transformed into green, relaxing places to enjoy. 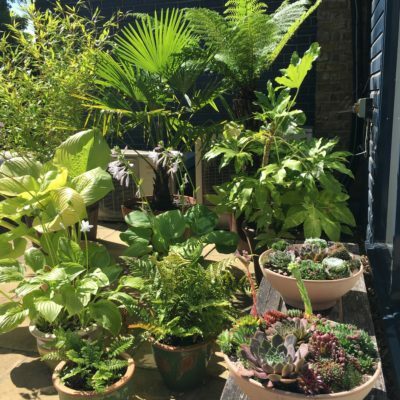 By choosing the right plants and putting them in freestanding pots and containers you can create a number of themes – from a wild green jungle through to a more formal area. 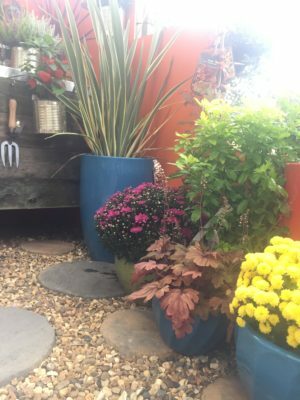 The view of your garden from your living space is important all year but in Autumn/Winter a burst of colour can really lift the spirits! 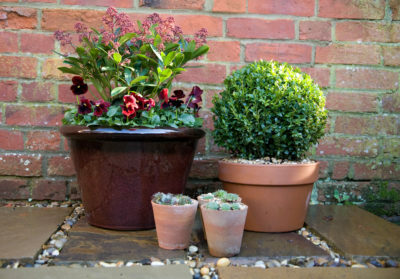 You can create year round structure using pots of different shapes, styles and sizes. 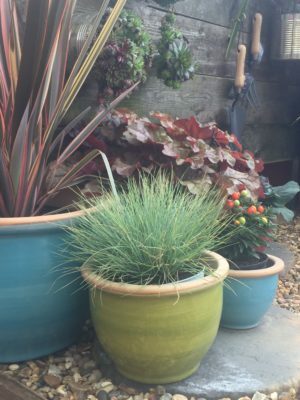 We always recommend including some bigger pots – they need less watering and can actually make a small garden or space feel larger. 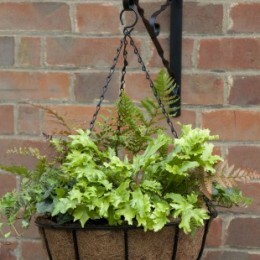 You can grow most plants in pots as long as they are regularly watered and fed. 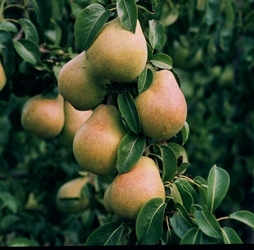 For impact you could include trees, large shrubs or climbers. Evergreen topiary such as Box or Yew can be clipped to introduce a formal look shape, and shrubs can be mixed with seasonal bedding. 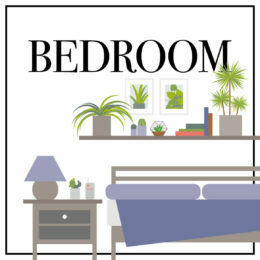 Add year round interest and a tropical vibe by using plants that are good for a semi-shady spot like phormiums, palm trees, the glossy leaved Fatsia Japonica, evergreen ferns and succulents or alpines. Shades of green can be very relaxing to look at. 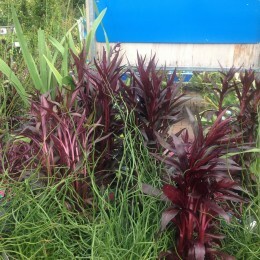 You can soften hard walls and fences in shady spaces by combining grasses (here they’ve used Carex and Ophiopogon) mixed with seasonal bedding plants such as the heather used here. 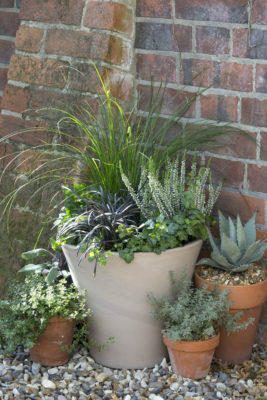 Edge your container with Ivy or a creeping Thyme or Sedum to finish the look. 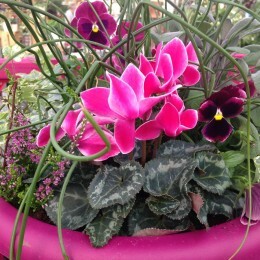 Cyclamen, Viola, Primula – Under-plant with bulbs for Spring colour! 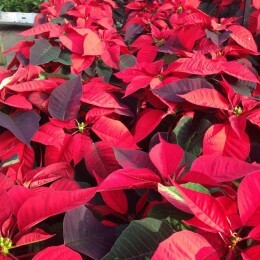 In-store our plant team work hard to create visually appealing displays that help you decide on the perfect plants for your containers. 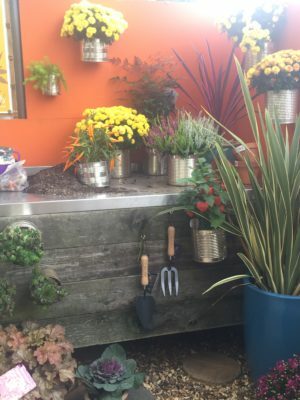 This Autumn we have dedicated a section of our outside planting area to show you how easy it is to create a wonderful takeaway garden so please do pop-in, have a look and ask the team if you have any burning questions! You can also pick up our ‘How To’? Leaflet in-store today.